Ibrahim Hamato who is from Egypt lost both of his hands due to an accident when he was just 10 years old. But this didn't stop him from pursuing his love and passion for the sport of table tennis. 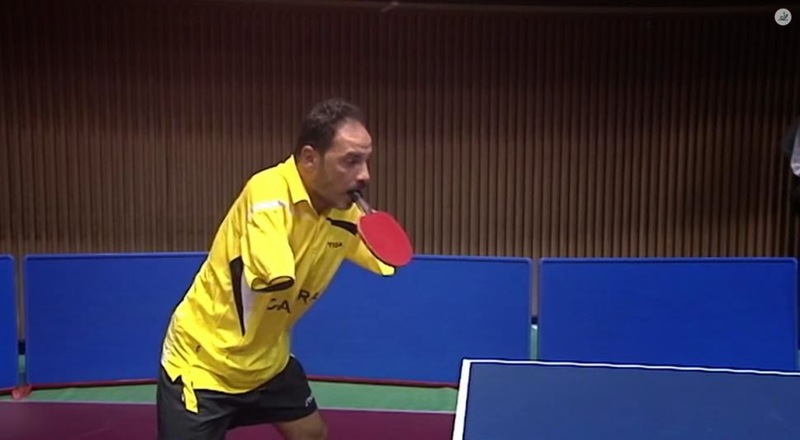 Three years after the tragic accident, Ibrahim started playing the sport again by holding the paddle with his mouth. Ibrahim was recently invited by the International Table Tennis Federation (ITTF) as an honor guest at the ZEN-NOH 2014 World Team Table Tennis Championships held in Tokyo, Japan. Ibrahim had the chance to play against the best professional table tennis players in the world like Jun Mizutani, Wang Hao, Vladimir Samsonov, and Ma Long.